Our provide to customer from CAD design,2D design,3D design, auto cad design, CAD Drawings,pcb design, cad design review, product design drawing, industrial design, product development, product design, product design and development almost 20years . Do you ever questioned that whether your design is ideal or applicable when you finish the drawing on the paper? Or, you might feel nothing to show in the product review, exhibition, or for an invitation to bid? Or, you worry about the quality of moulds used for model production. To avoid it, prototyping model is your best choice. Vowin is a professional prototype manufacturing corporation with 14 years’ experience since 2002 and large-sized workshop. We have various prototyping devices like CNC router, 3D printer, and other manufacturing devices which enable us to accept enquiries from all different industries. 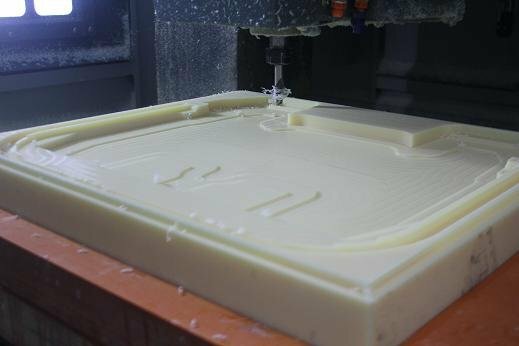 We go through the processing from CNC vowin.cn/en/News/news1251.html' target='_blank'>machining. CNC adopts the Computer Numerical Control as production method. In comparison with conventional mechanical processing, CNC controls its high precision and high efficiency. Computer-controlled cutting machine related to the hand held router used for cutting various hard materials, such as wood, composites, aluminum, steel, plastics, and foams. CNC stands for computer numerical control. CNC routers can perform the tasks of many carpentry shop machines such as the panel saw, the spindle vowin.cn/' target='_blank'>molder, and the boring machine. After CNC Machining, the next step is surface finishing. Our professional engineer grinds the exterior case by hand without any missing edges or corners in order to ensure the quality and smooth appearance. Finally, the finished parts were painted with customized or our optimum color and material in dustless workshop.